Get Fit with Cardio Bag! 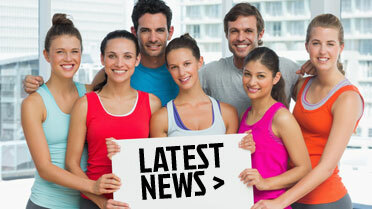 Want to meet new people and experience an exhilarating workout? Then our Group Fitness programs are just for you! We offer a wide variety of programs for every age and fitness level. We're sure to have a class for you! Group Personal Training makes personal training affordable! It's a budget-friendly way to take advantage of our personal trainers' expertise, creativity and motivation at a lower cost, all while keeping the fun and competitiveness of a group setting. Our goal at Yakima Athletic Club and YAC Fitness is to provide you with affordable and flexible ways to get into shape. We know that not everyone has the same membership needs. That is why we offer a variety of membership opportunities. We are DRIVEN to make fitness and better health fun and part of everyone's life. It’s all about results, and we are there every step of the way to make that happen. We will provide the help and support our members need to live the best life they can. Yakima Athletic Club and YAC Fitness are the premier health and fitness facilities in Yakima, Washington. Support your local, independently-owned health clubs. With 40 years in the fitness industry, we have the proven experience to research and provide the most updated equipment, the latest in fitness programming led by truly knowledgeable, professional staff, and facilities our members are proud of. We have everything it takes to guide our members towards healthier and fit lifestyles. It starts with making everyone feel welcome and comfortable and ends with you getting results you want.